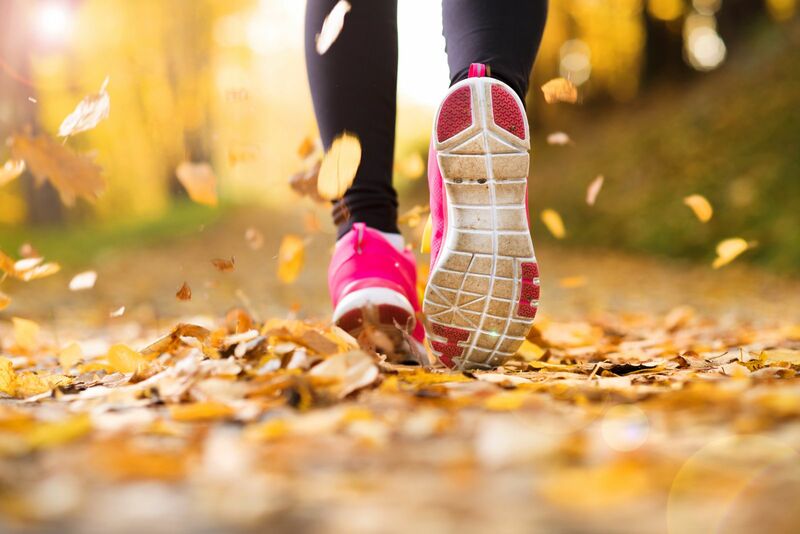 Recover Faster from Fall Injuries | Podiatry Associates, P.C. Coloradans have a well-deserved reputation for being active people, no matter the time of year. This is especially evident in the fall, which is a great season for outdoor activities like hiking and cycling. Of course, there are also several high school sports—football, volleyball, field hockey, softball, and soccer—currently in-season. All this physical activity is awesome because it means healthier bodies for our friends, family, and community members. Less awesome is the fact it also means increased risk for foot and ankle sports injuries. Fortunately, our team at Podiatry Associates successfully treats countless injured athletes and active individuals throughout the year. Even better, we offer advanced treatment so you can recover faster from fall sports injuries and get back to the activities you love doing! When you have a foot or ankle sports injury—or any medical issue, actually—our goal is to help you overcome any pain and dysfunction in the shortest possible amount of time. One option we provide to achieve exactly that is our MLS laser therapy. MLS (Multi-Wave Locked System) laser therapy is an advanced treatment option that uses concentrated light energy to promote healing in an injured soft tissue. This is extremely beneficial since many common sports injuries—like plantar fasciitis, Achilles tendinitis, and ankle sprains—are soft-tissue injuries. Our laser therapy not only promotes healing, but it can even reduce the amount of time needed to recover from an injury. How does laser therapy lead to quicker recovery times? Well, the laser’s energy travels deep into the tissue and is delivered to damaged cells. This causes a reaction wherein natural healing processes (cells in the body have a remarkable capability to regenerate and repair themselves) accelerate. Additionally, this treatment increases blood flow to the area – which is essential for delivering much-needed nutrients and oxygen. If you are one of the many Coloradans who sustain a foot or ankle injury during physical activity—or from any other potential source—remember that there’s no need to suffer from foot pain when you can always come see our team at Podiatry Associates. We offer comprehensive treatment for a wide range of common (and not-as-common) ailments. For more information on our MLS laser therapy, sports injuries, or any other facet of foot care, call (303) 805-5156. While on the line, request your appointment at any of our three offices today!